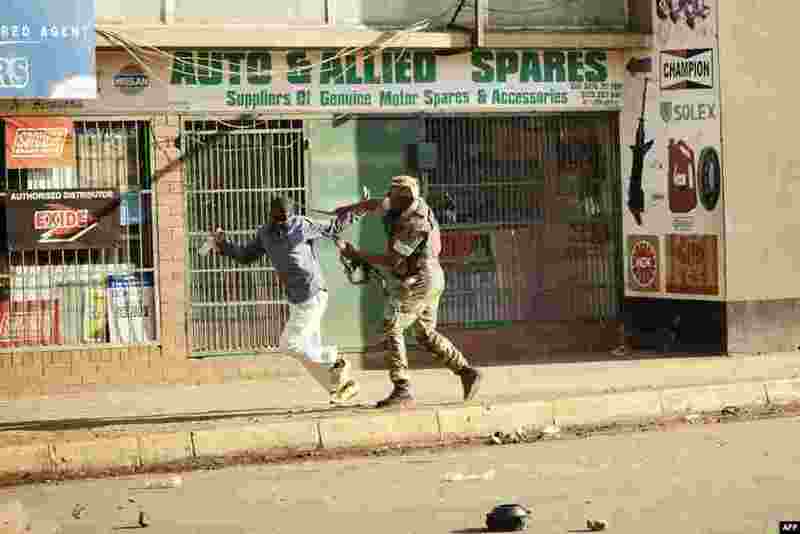 1 A Zimbabwean soldier strikes a man along a street in Harare after protests erupted over alleged fraud in the country's election. 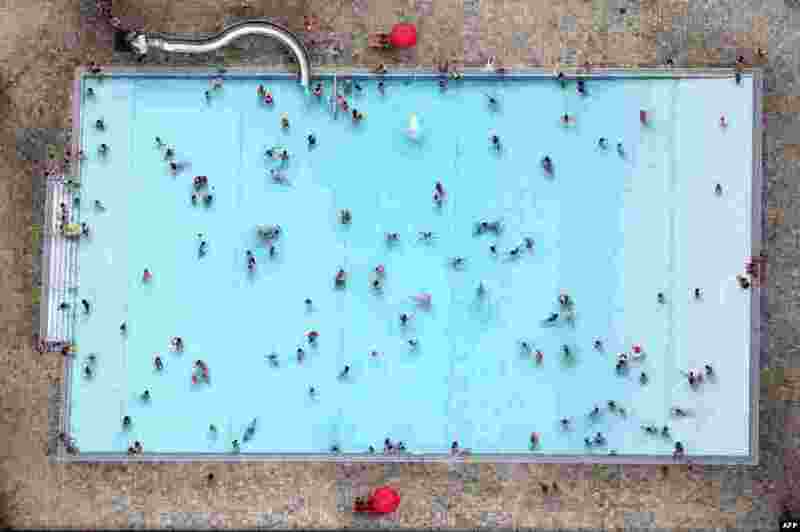 2 People swim at the Kiebitzberge public outdoor swimming pool on a warm summer day in Kleinmachnow, Germany. 3 U.S. General Vincent Brooks, commander of the United Nations Command, U.S. Forces Korea and Combined Forces Command, speaks during a repatriation ceremony for the remains of U.S. soldiers who were killed in the Korean War and collected in North Korea, at the Osan Air Base in Pyeongtaek, South Korea. 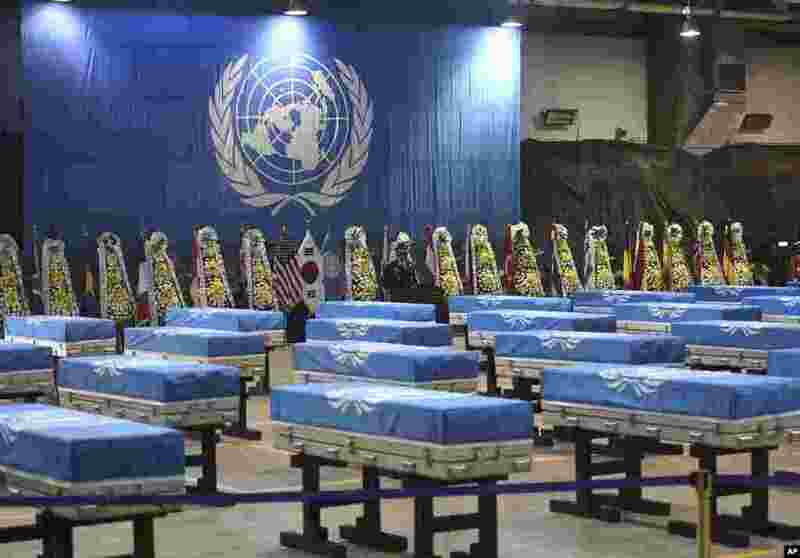 North Korea handed over 55 boxes of the remains last week as part of agreements reached during a historic June summit between its leader Kim Jong Un and U.S. President Donald Trump. 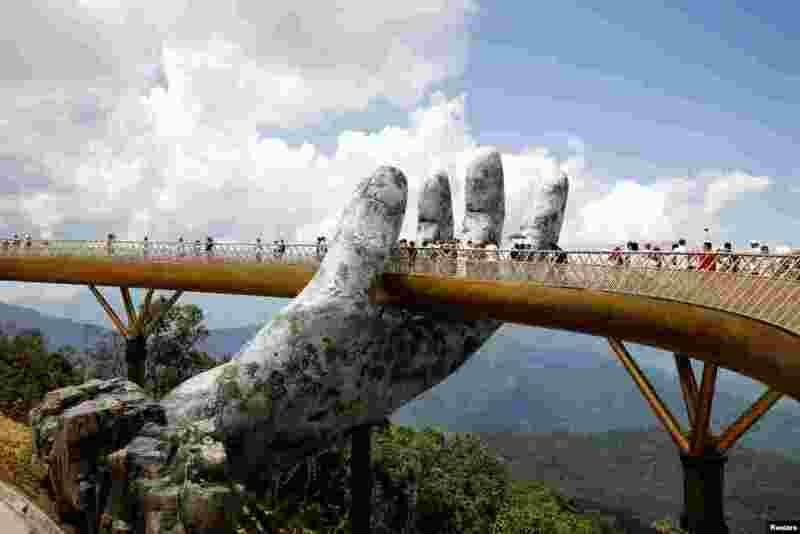 4 Tourists walk past a giant hand structure along the Gold Bridge on Ba Na hill near Danang City, Vietnam.